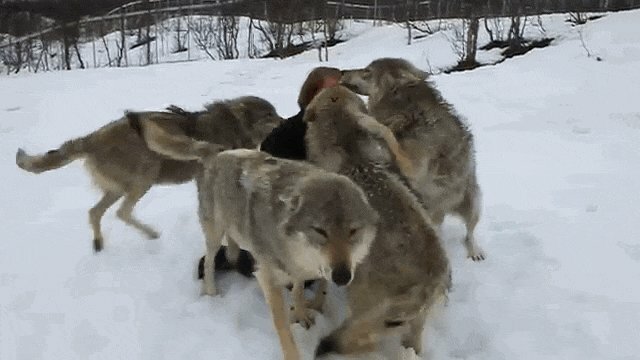 These wolves, a group well-acquainted with humans in Polar Park, Norway, are reuniting with a caretaker named Anita, in a clip that's floated around the web for a few years. 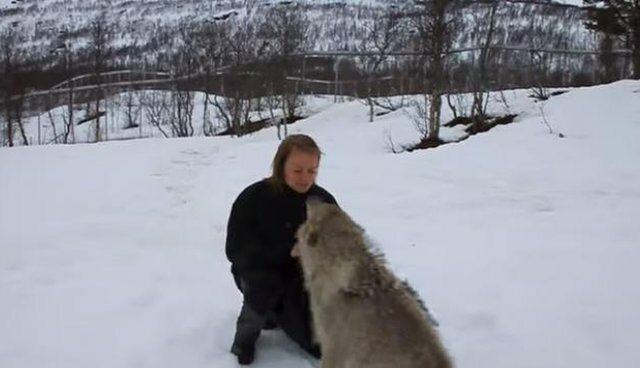 They're certainly not the first wolves to bond with humans - German researcher Werner Freund, for instance, was well-known for raising Arctic wolves, whom he fed mouth to muzzle. 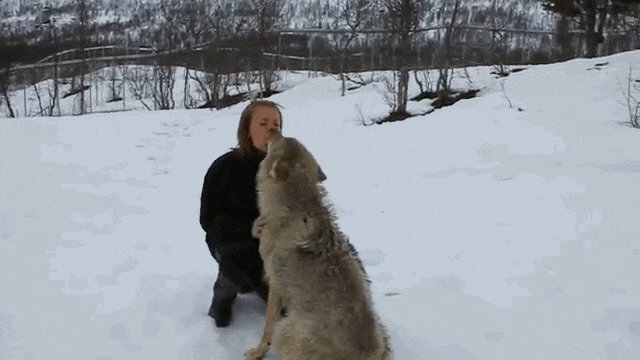 Were these Norwegian wolves to have kin in the American midwest, they'd have good reason to be celebrating in 2015, too. The U.S. Fish and Wildlife Service recently reinstated protections for gray wolves under the Endangered Species Act, in states around the Great Lakes. Catch the whole video here, while kindly bearing in mind that there are no circumstances under which you should put your schnoz near an unfamiliar wolf, dog, dingo or other canine.